Junior Leo Park showed tremendous character pulling through and never giving on. 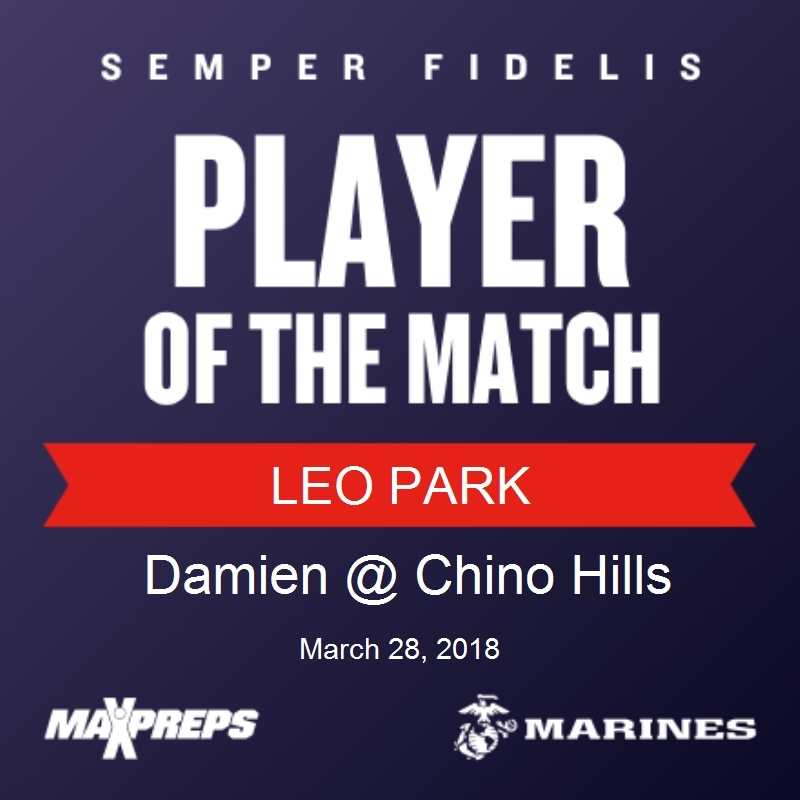 Leo and his partner (Nathaniel Marquez) fought hard today and even though this was the 1st match playing together, they both competed to the very end. Leo completed several good shots which earned him the Player of the Match.